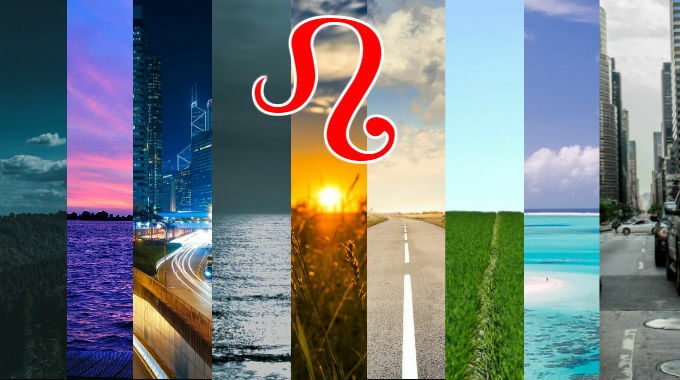 Your Ascendant is the degree of the eastern horizon at the time and place of your birth, one of the most individualized points in your chart. It’s where the Sun rises, making its first appearance at the dawn of a new day. Similarly, the Ascendant marks our first appearance in the world, as we awaken to our new life at birth. It says something about how we ‘rise’, how we make our appearance in the world and how we navigate through life. The sign the Ascendant falls in is the 1st house, which is why it has significance for our appearance, health and essential vitality, our intrinsic motivation and nature. It is the ‘face’ of our chart. Some part of the 1st house will always be visible beyond the horizon while the rest has not yet risen, half-light, half-dark. It is where the Earth’s turn results in a house that straddles between the light and the dark, where spirit meets matter, where reflection becomes awareness. With Leo Rising, the way one navigates through life is in a Sun-like fashion: regal, showy, proud and noble. You may appear more confident and driven, you may have the appearance of a leader, a formidable presence with a strong sense of self. You have a desire to impress and show what you got. Your ego and appearance are linked. The specific way in which they typically go about business depends on the placement and condition of the Sun, and the house in which it falls presents a particular area of focus over the course of one’s life. One may even appear more solar, warmer, with big hair, attention-getting.